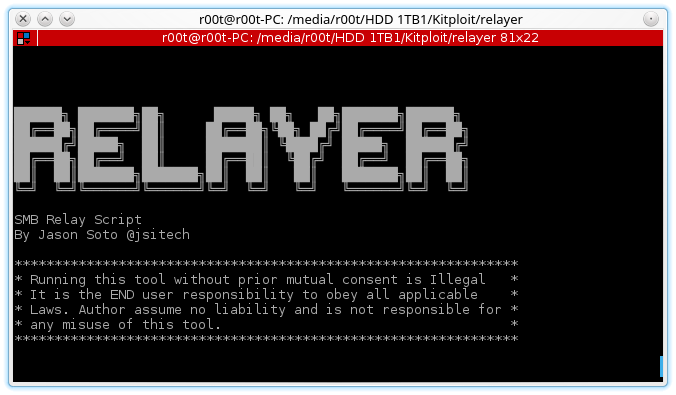 Relayer is an SMB relay Attack Script that automates all the necessary steps to scan for systems with SMB signing disabled and relaying authentication request to these systems with the objective of gaining a shell. Great when performing Penetration testing. Relayer makes use of Unicorn from trustedsec to create the payload that is executed on the target system you select. see https://github.com/trustedsec/unicorn , you can run the listener on the system you are running relayer on or an alternate system. Other Payload Options will be added. Run install_req.sh to validate dependencies and install missing ones.